We love this one as Darren Cross from Match Magazine and Matt Cuttle talk you through 61 FIFA 13 goal celebrations, once you managed to put the ball into the back of the net of course. What’s your favourite celebration? Check out how to perform the 61 celebrations. New celebrations can be unlocked with coins in the EA Sports Football Club catalogue as you advance in level. Let us know your favourite celebration(s). 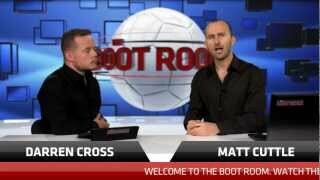 Join Darren and Matt next week for more FIFA 13 tips on taking and saving penalities.